The West Village has multiple parking options. A large parking deck is located right behind us and there is also a large lot across from the front of the restaurant. There are also parking spaces right in front of the restaurant. We offer many of your favorite menu items for off site catering as well! Enjoy a platter of Lobster Rolls or Crab Cakes for your next event! Winner of The Best Seafood and Best New Restaurant in Smyrna / Vinings, Hook Line & Schooner is owned and operated by the Varno family. 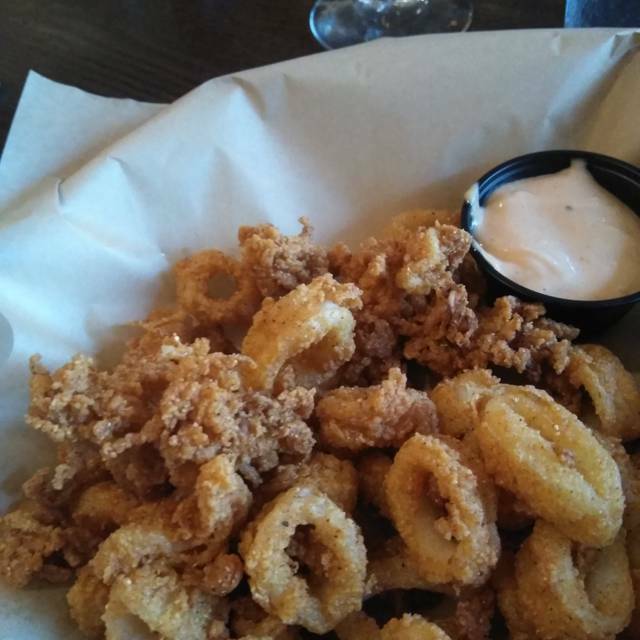 It’s a family-friendly environment that features fresh house-cut seafood prepared in a variety of ways, delicious salads and sandwiches, and taste tempting steaks in an upscale, but casual, environment. 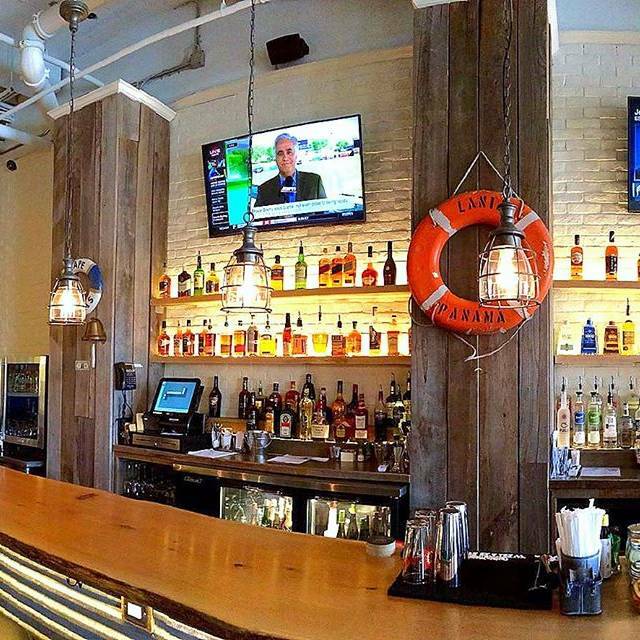 Drop by for a delicious lobster roll, shrimp basket, fresh fish of the day, oysters, or whatever you are craving, and enjoy it with a schooner beer or other favorite beverage from our full bar. Celebrating? Try one of our amazing desserts or let us cater that special event! Our patio is pet friendly so bring along your furry friends! With fries, slaw & hush puppies. is topped with: butter, sour cream, cheese, bacon and chives. Great food, service was a little off but they were busy the owners stepped in and helped out, team work and would definitely eat there again. Thank you for your feedback. Unfortunately, we were short a server and a bartender when you dined with us. I sincerely apologize for any problems it may have caused. We hope you’ll stop by for another visit! We appreciate you taking the tine to review and rate HLS. So glad to hear that you felt dining with us was a great experience. That really means a lot to us. 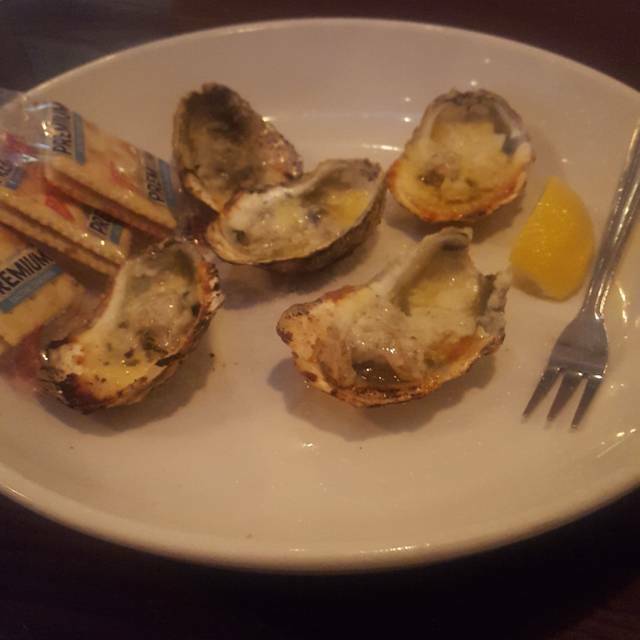 We'll be sure to let the kitchen staff know how much you enjoyed the oysters. Hope to serve you again! This was our first time there. Bartender was great and food was delicious! We will definito be back. Thank you for taking time out to review and rate HLS. The 5 star review means so much to all of us here. We sincerely appreciate your patronage and hope to serve you again! Better on our first visit. Server was very disorganized, kept disappearing after asking if we needed anything. Then would reappear with out bringing back the items asked for. Thank you for your feedback. It seems your rating focused mainly on your server. By chance, do you remember who served you so we can ensure this doesn’t happen again? Our servers try their best to provide outstanding service, and I assure you this isn’t the norm. We do appreciate your business and hope you’ll give HLS another chance. 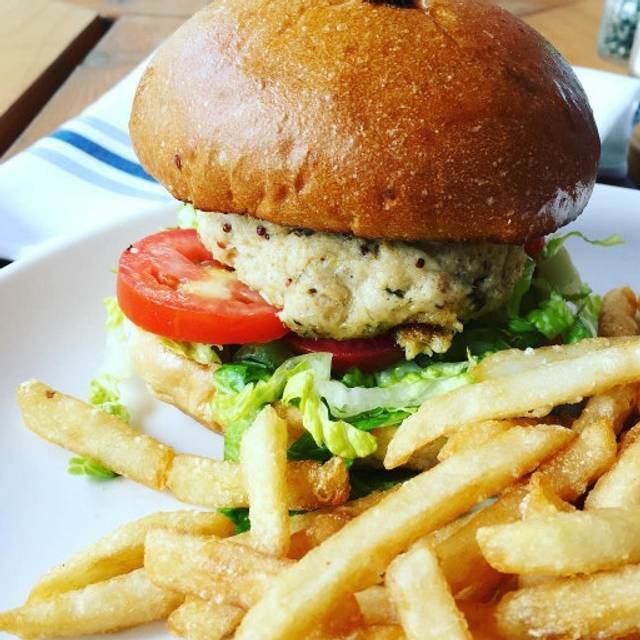 HL&S is our go-to place for great food and fun with friends. It not that the usual 5 Star type restaurant but just a great seafood joint. We had the shrimp, oysters, crab legs combo. Oysters were fresh and not briny. Crab legs were delicious. Shrimp was generous size and spicy. Bread pudding & ice cream was heavenly. Servers were nice but service would have been better if extra dishes cleared sooner. Very popular restaurant in Smyrna. Great spot - excellent food. This will become a regular spot for us. What a wonderful compliment! Thank you so much. We appreciate your patronage and look forward to serving you again! Everything was about average Food was good but not great. 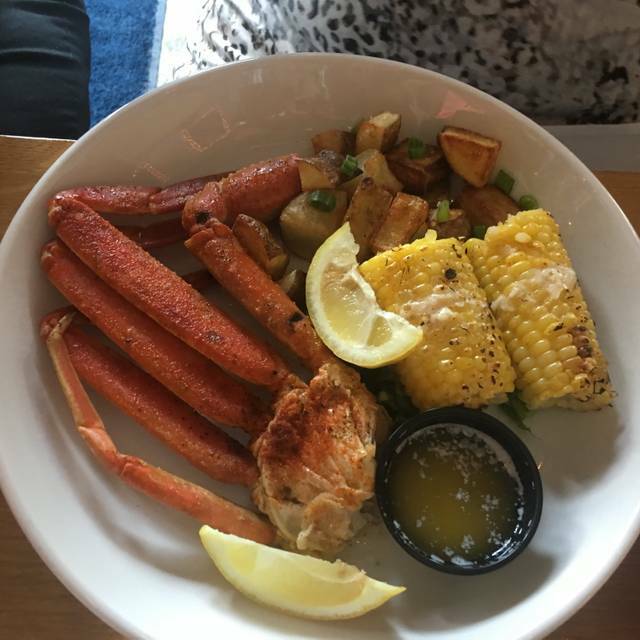 We were going to a concert at the Cobb Energy center and wanted a seafood place that took reservations.. Would probably go back if we were going to an event in the Cumberland area. Sorry you were disappointed. What you experienced isn’t the norm for HLS. We get our produce delivered daily and the we buy oysters from an extremely reputable distributor, but it’difficult to see how big the oyster actually is until they are opened. If you decide yo give us another try and you experience the same, be sure to ask for the manager on duty. We were very pleased with the improved service and quality of food that the new owners have brought to this restaurant. And they have an unbelievably amazing list of desserts that won’t challenge anybody’s dietary disciplines! Worth trying again and we’re glad we did. Thank you so much for such a complimentary review and a wonderful rating. We really worked hard to make improvements, and your comment means a lot to all of us at Hook Line & Schooner. We truly appreciate your patronage and and are so happy that you decided to stop in again. We'll look forward to serving you again! Amazingly cooked seafood, nice ambience, excellence customer service and convenient location. I schedule a book club meeting and our hostess/waitress Katherine was in-point with everything; she was truly amazing. Never waited for anything and she was so patient. I ordered the grilled scallops and they cooked to perfection, didn’t care for the potatoes as a side but the grilled brussel sprouts were good. I would definitely dine here again. We sincerely appreciate you taking time out to rate Hook Line & Schooner and are so appreciative of your wonderful comments. We're happy you enjoyed your meal. The next time you dine with us, ask to substitute the roasted potatoes. We have several options. Customer service is one of our top priorities so we were happy to read about the service you received. Thank you for your patronage and we hope to serve you and your book club again! The bartender needs to be more attentive. Was distracted when talking to him about menu. Needed help. Service slow. Will go again and try sitting at table instead of bar. So sorry to hear that you were unhappy with the bartender's service. 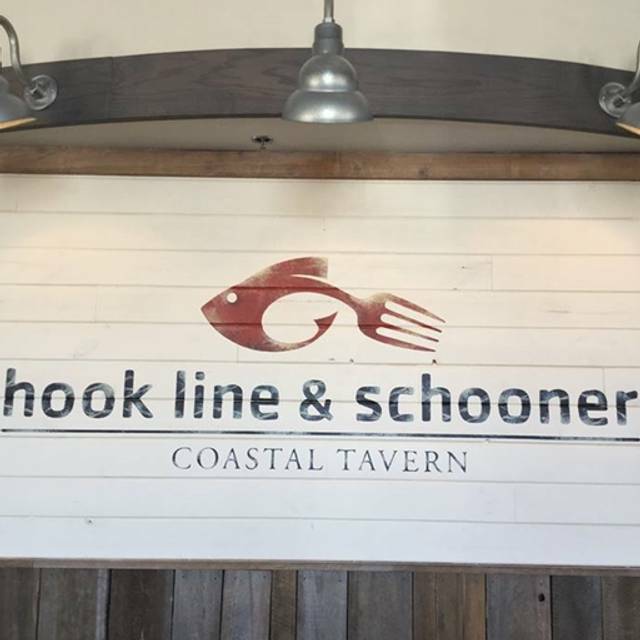 Our customers are our top priority so that was certainly not the norm here at Hook Line & Schooner. You should receive excellent service regardless of the location you're sitting in at the restaurant. We're happy to see that you would consider coming again, though. If you ever experience anything like you did when you visited last, please ask to see a manager or one of the owners. We sincerely appreciate your business! Been to this restaurant once before, they provided great service both times. Atmosphere was fun, made for a great evening with friends. AshleyB, thanks for the wonderful rating and comments. Customer service is one of our top priorities so we were happy to read about the service you received. We appreciate you bringing friends, and sincerely appreciate your patronage! We hope to serve you again! Great food and a lot for the price! I'll def be back again in the future. Thanks so much SeressaG. We certainly do appreciate you rating Hook Line & Schooner and your wonderful comments. We hope to see you again! Neat restaurant. Rather small. We arrived at 5 on a Sunday night with a reservation and were seated quickly. Filled up soon after. Plan on going again sometime. Thanks for your rating and review. You’re right, the restaurant isn’t huge, but we can provide you with the same, or better, dining experience than a huge restaurant can. We’re certainly happy you enjoyed dining with us and we look forward to serving you again! It was not our typical evening there. We (my wife and I) typically get there very early, around 5:30pm. It was unusually crowded, hence it was cool I made the OpenTable reservation. We were seated only a couple of minutes pass our designated reservation and was waited quickly. It is not a large place, so with the crowd it was a little louder than usual. Our food came out in a decent time (I had a dozen raw oysters and the Shrimp Banh Mi/Salad; my wife had the Shrimp Po Boy/Salad). Food was nice and fresh. The Shrimp Banh Mi had a decent amount of shrimp and the veggies were crisp and fresh. I had a taste of one of my wife's fried shrimp and it was not over cooked (fried), which usually happens in some seafood restaurants. All and all a good experience. Thank you for taking time out to rate HLS. We appreciate your feedback and your patronage. Our weekends are quite busy and often at capacity which causes more volume than normal, so we’re sorry you experienced that. We hope we’ll get the opportunity to serve you and your wife again. Great service great good. Will return. Thanks so much for the wonderful rating! 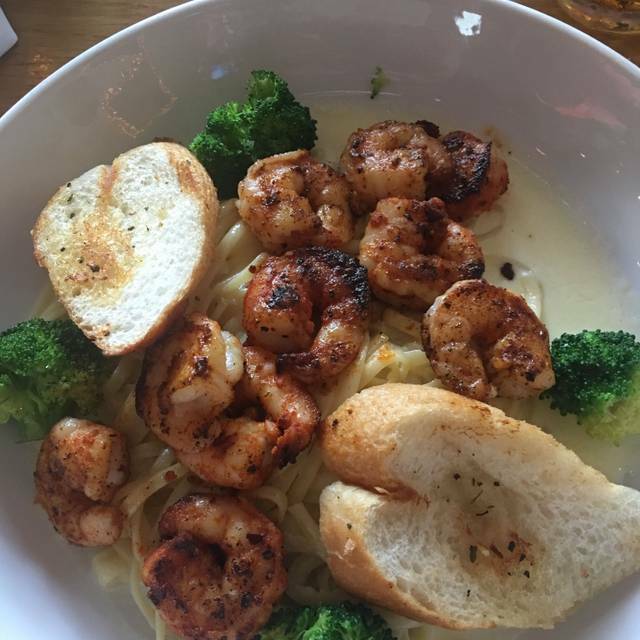 We appreciate you stopping in to dine with us. Looking forward to your return! Good food but not great. I’d definitely go back! This restaurant is your kind of hole in the wall, very nice ambience, the service was super and the food is great. 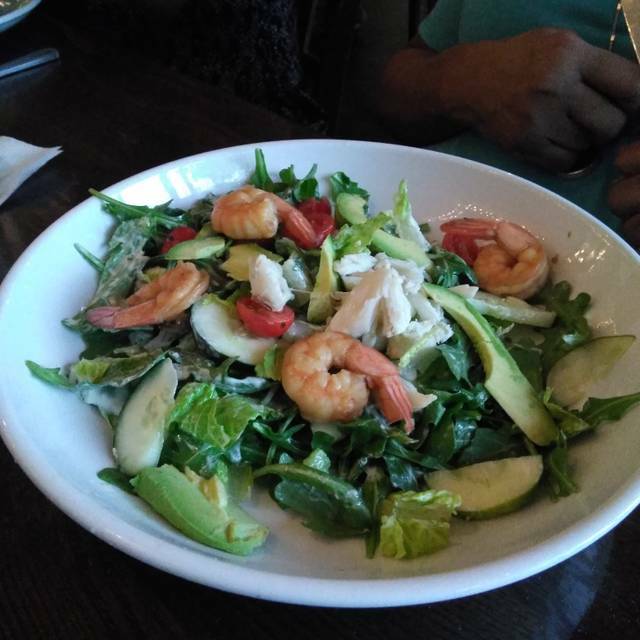 The restaurant is located in a hopping shopping plaza right off of 285. There was both surface parking and a deck, but surface parking was difficult to come by. We had a reservation and were seated immediately. The restaurant is very casual with a bar-like atmosphere and there were many TVs with sports games on. The menu and beer selection was quite good. The only problem was with our service. Our server came by once and took our drink and appetizer orders and then seemed to disappear for an indefinite amount of time. My husband realized his glass was cracked and sat with no beverage for a long time. We asked for lemons 3 times. When the appetizers were delivered, I had to get up and flag down another server to get some silverware and a napkin. The HLS oysters were some of the best we've had. Another long wait for the server to come back so we could place our entree order. The food was delivered in a fair amount of time and that is where the experience got better. The food was tasty, reasonably priced and plentiful. The owners did stop by our table while we were eating our entrees to check on us, which is a nice touch. On our way out another owner approached us and reminded us about their weekly wine specials. We would definitely return. We walked out. After getting seated for our reservation promptly, and having our waiter drop off water quickly, we proceeded to wait for 25 minutes without service despite there being plenty of wait staff milling about. I tried to flag down our waiter three separate times before we bailed. I guess it’s under new ownership, which may be causing issues, but our experience definitely tainted our perception. I’m not sure we will give it another shot. Family Friday night dinner. Change of ownership was evident with direction of restaurant. Wayne was great. Food was good. I would go back for a lunch or early casual meal but def not a Friday night dining experience. Thanks so much for your feedback. We're now family owned and operated and we've been trying to make positive changes since taking over ownership. Our weekends are usually quite busy, but with the Super Bowl hosted in Atlanta this weekend, it was definitely a little more hectic. 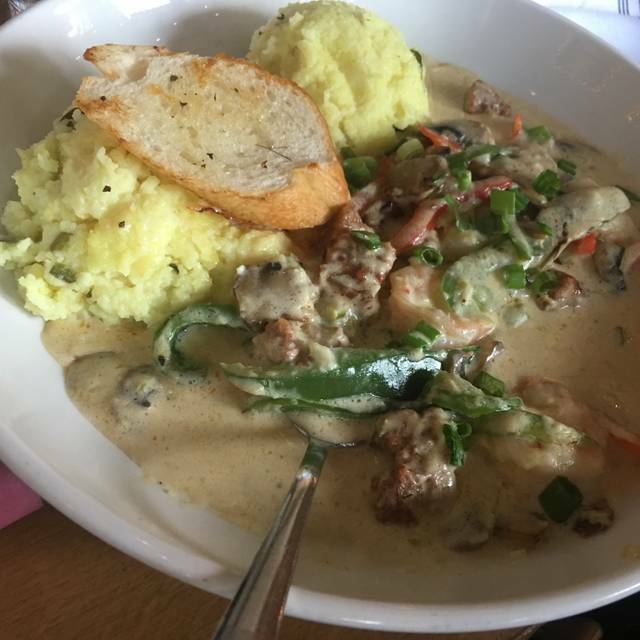 We happy you enjoyed your meal and will look forward to serving you again. Two people ordered the crab stuffed salmon and it was very good. The salmon could have been cooked a little less. The portion size was adequate but maybe not enough for a big man and the value was okay. Another order was for the salmon cobb salad and it was very good. The portion was very satisfying and next time I will ask for it to be cooked a little less. We have been coming to this restaurant for years and it's always enjoyable and the staff friendly. Some of the items are a little pricey so we tend to go for something special and not on a regular basis. Nice service, nice food, and the best part is that before we left, without asking, the manager came over to make sure we enjoyed everything. Had the salmon BLT which was excellent. New ownership has made some fundamental changes for the good. Plentiful portions, excellent, friendly service. Well worth the money. Really enjoyed our seafood nacho. As an appetizer it served two for a full meal! Made a last minute reservation while traveling thru ATL. Great place and would definitely return and recommend. Love the atmosphere, service and food! I look forward to going back. Celebrating my cousin Birthday here was a Wonderful and amazing experience. Food was delicious. Slow service and mediocre food. I was there at a time when they were not busy and we still waited a long time for our food and to order. The food arrived hot but was lacking flavor. Jen is always great - we really enjoy our weekly outing! Every so often we like to go out for “Date Night” and remember why we got married. Way overpriced. Food was not fresh. Our waitress was cleaning her fingernails when she greeted us. I will never return. I have been here multiple times. On the last visit, the person seating parties fails to acknowledge my reservation but another worker did while she cleaned our table. Our papery was seated for about five minutes before a waiter inquired "who has that table?". The person seating parties said she did not know. Once we were assigned a waiter, everything was great. I can't remember his name but he looks like Troy Aikman. He is a GREAT waiter and should own the place.